Yoo Yeon-seok in SBS weekend drama "Tasty Life"
Actor Yoo Yeon-seok is to star in the SBS TV weekend drama "Tasty Life" (previously known as "Father and Daughter"). "Tasty Life" is about the love and conflict between a man who cooks in a Korean restaurant and his four daughters. 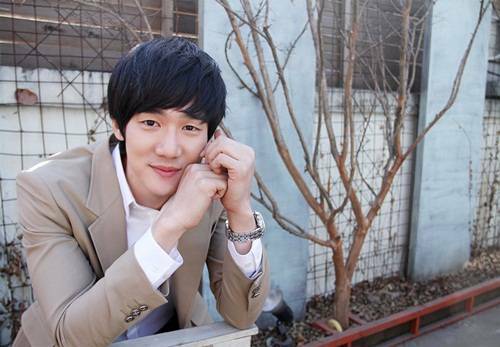 Yoo Yeon-seok will take on the role of handsome doctor Choi Jae-hyeok who loves the first daughter Jang Seung-joo (Yoon Jung-hee-I). Jae-hyeok is the son of the director of the hospital and is a hard working, well mannered guy but also a freewheeler who enjoys going to clubs on his free days. He has only loved Seung-joo ever since high school. Yoo Yeon-seok said, "I met with senior Park Geun-hyung, who will be playing my father for the first time. I am nervous to work with older people but I think I can learn a lot. I have worked with Yoo Da-in and Ryoo Hyeon-keyogn before but I am glad we are working together again". "Tasty Life" will be broadcasted after "If Tomorrow Comes" on the 28th of April. "Yoo Yeon-seok in SBS weekend drama "Tasty Life""
Jun Ji-hyun and Kim Soo-hyun shoulder to shoulder.